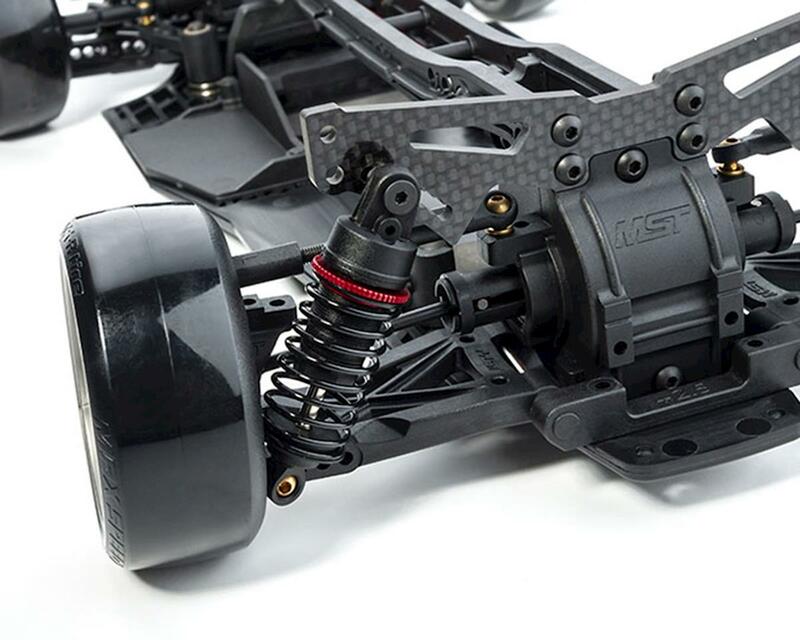 The MST FSX-D Ultra Front Motor 2WD/4WD Electric Shaft Driven Drift Car Kit offers the flexibility to be built in a 2wd or 4wd configuration, with the high quality materials and unique engineering features MST is known for. NOTE: The assembled chassis shown in photos is for illustrative purposes only. 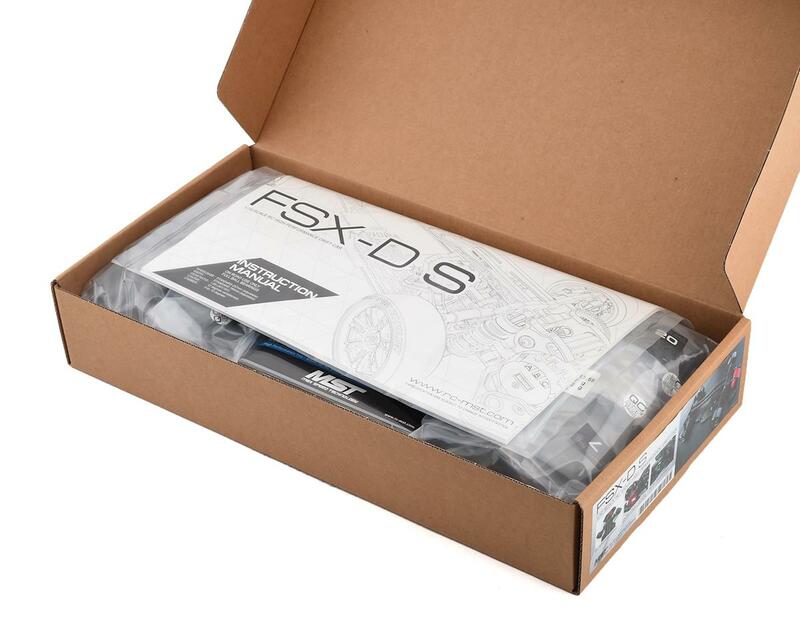 The model you will receive is an unbuilt kit that requires assembly. See needed to complete list below for a full list of items required to complete the model. 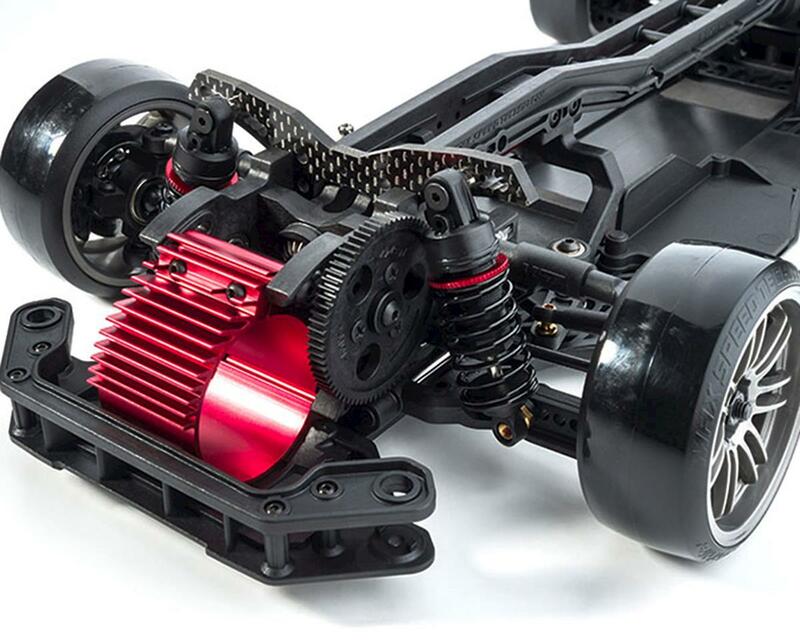 The modular ultra front motor drive system with aluminum center shaft provides stable drifting dynamics, smooth acceleration and incredible performance. 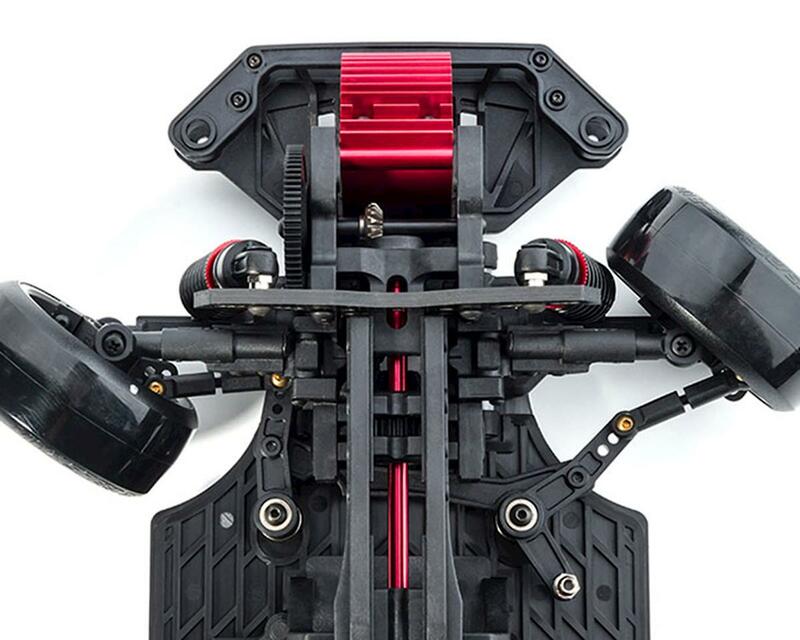 The unique design allows you to install the motor drive in a right or left side configuration for anti torque adjustment to suit the track surface. In the "Forward" position, it accelerates the load changing speed to create a more sensitive vehicle that is quick to respond to input changes, making the chassis better suited to small and winding tracks. In the "Backward" position, it slows down the load changing speed, making the chassis more stable and better suited to large, fast tracks. Extremely stable and tractive HT suspension. Front KPI construction eliminates the caster block ball connector. The Rear offers maximum suspension pivot to decrease the amount of roll and increase mechanical traction. The included heat sink aluminum motor mount works to efficiently dissipate heat from the motor. The centralized center of gravity design allows balance to the left and right side, for increased stability and increased drift ability. The damper shaft is treated with a special chemical nickel coating process. It offers smooth movement, high wear resistance and high corrosion resistance. Two sets of adjustable steering position arms allow you to adjust the ackermann angle easily. 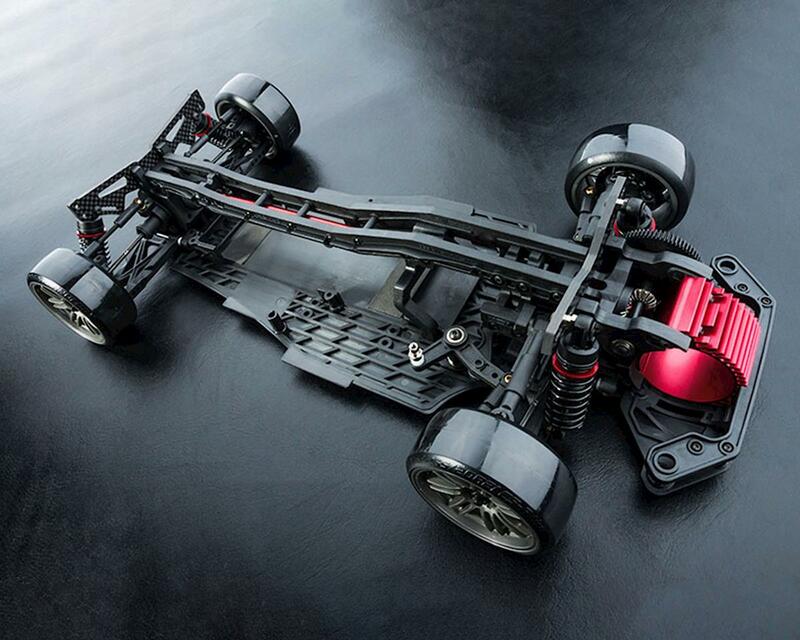 The large steering angle can stabilize the rear of the chassis in fast corners. 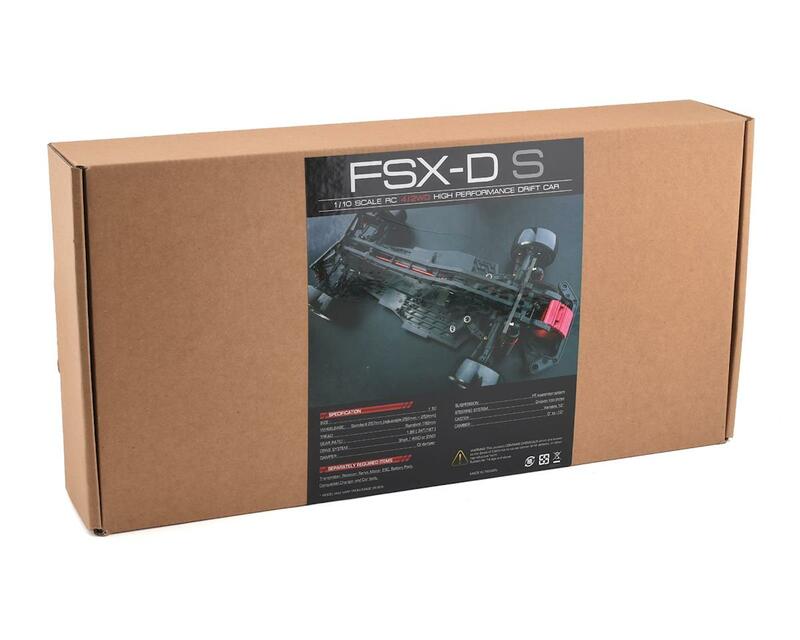 Standard front and rear high rigid and light weight carbon shock towers provide a strong and rigid shock mount to help create instantaneous response from the suspension.